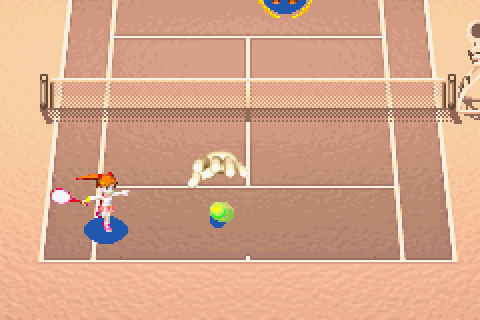 Choose between Clay and Ace, members of the Royal Tennis Academy. Masked strangers have defeated the academy champions and it's up to the two juniors to rise through the ranks in order to discover their identity. Each player has Power Shots, special moves that give them offensive and defensive advantages during play. Work your way up through the tournaments and power-up your character. One of the custom defensive power shots causes a giant hand to come out and catch the ball while the screen flashes different colours. This refers to the Psynergy moves from the Golden Sun series. 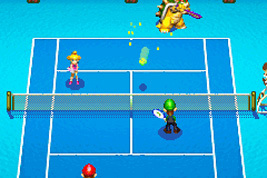 Both Golden Sun and Mario Tennis: Power Tour were developed by Camelot. Great Fairies appear in The Legend of Zelda series to reward Link. 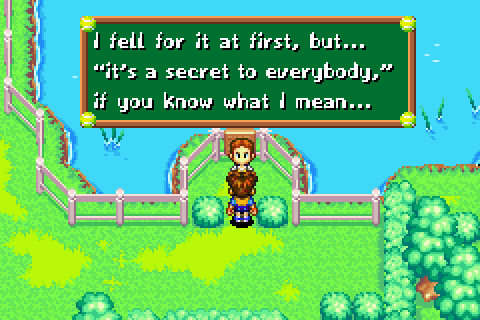 The "It's a secret to everybody" line was also first said by certain characters in the original The Legend of Zelda. 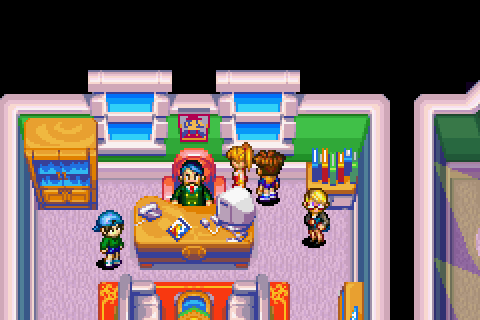 In the office of the President of the tennis club you can see a picture hanging on the wall of 8-Bit Mario as he appeared in Super Mario Bros.